Get ready for something new from an up and coming Canadian artist, Northend. Though the guy grew up with music, his recent year abroad in London, England, gave him the opportunity to hone his craft. 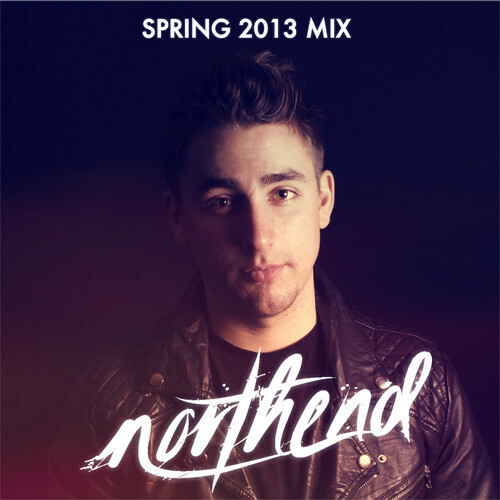 Since then Northend has demonstrated serious success, including a 10 show tour with Michael Woods, TJR and Chris Lake and his track "Keep It Down", which Beatport named one of the biggest electro progressive tunes of 2012. Just a few days ago his Spring 2013 Mix dropped and, if you crave a set laden with some of most notable tracks from last year, it will surely satisfy your hunger. Working your way up to the climax takes a listener through a rapid fire course of electro madness, culminating in a mega mashup with "Beats Inside My Head", "Moziak", and a few other hits. Conquer that and you'll finish the mix with 3 of his originals, my favorite of which would be his collaboration with Steretronique, "Reverence," coming out soon . The mix is currently available as a free download, so have at it and keep tabs on him through Facebook. If you need something a little more visual, check out this video from this recent tour and relive the excitement of a new artist living his dream.